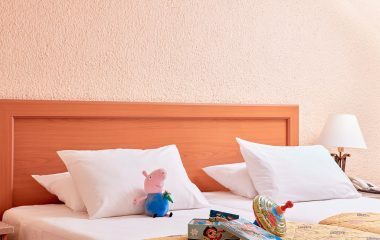 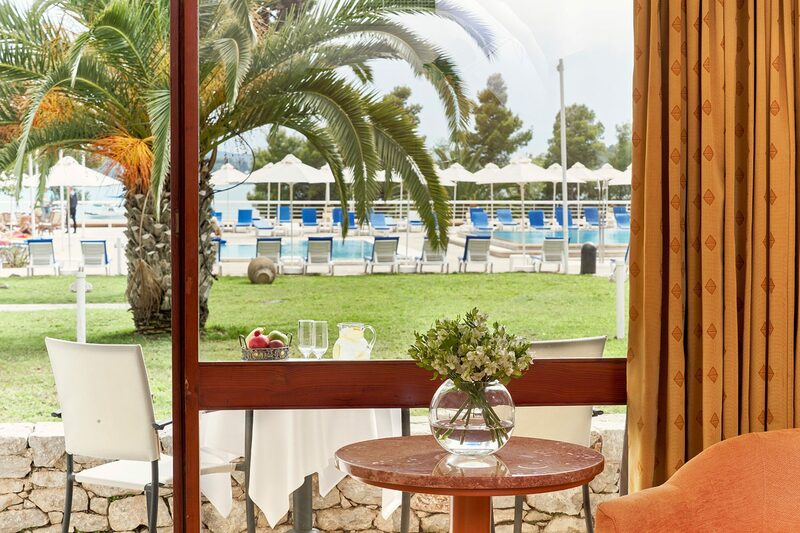 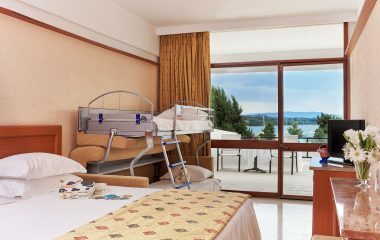 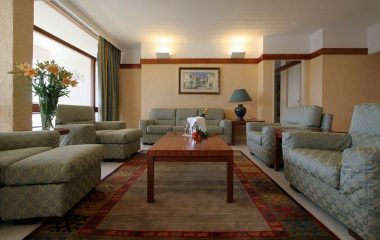 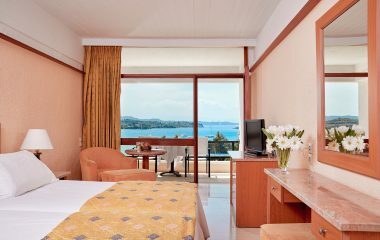 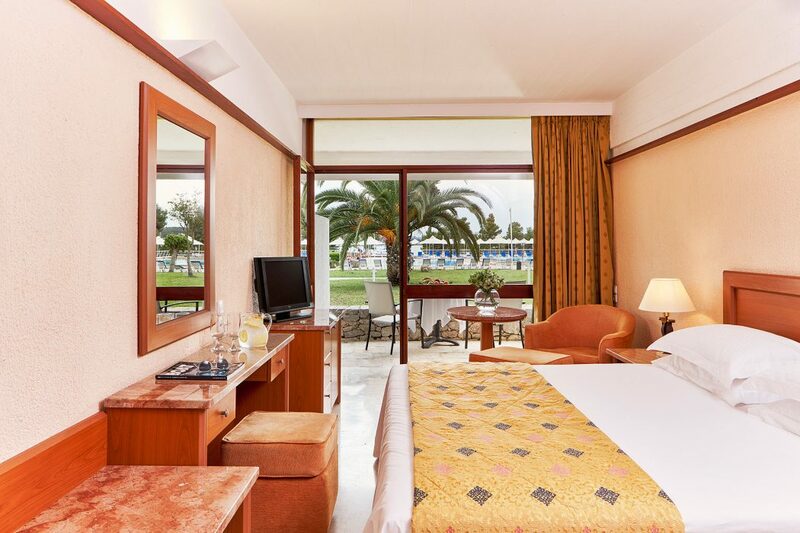 The standard double rooms with garden view face the sea, and are located on the ground floor or the 1st floor, while overlooking the green gardens and swimming pools of AKS Porto Heli. 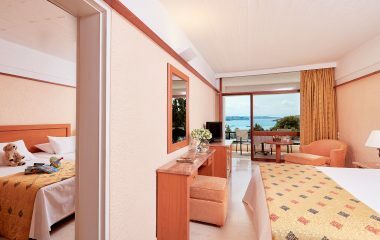 They are 24 sq.m. 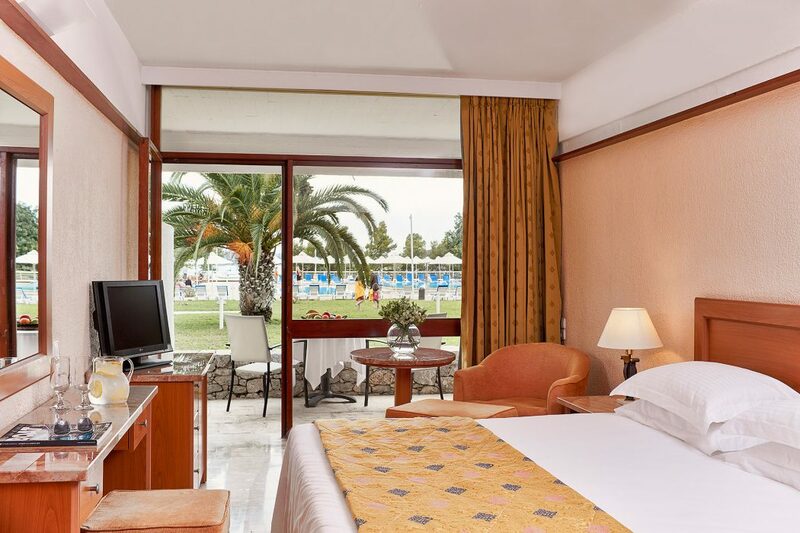 and feature a double bed or adjacent twin beds, a spacious marble bathroom, air conditioning, a fridge, a TV, telephone, hairdryer & a private balcony.